Dr. Daniel J Cruoglio is Seminars and Workshops"R"US Outstanding Corporate Business Training Coach. Marketing Training Coach. Business Building Coach. Life Adjustments Coach. Leadership and Sales Keynote Speaker. Book Dr Daniel J Cruoglio today! Certified Professional Coach. Human Behavior Specialist. Published Author. Member of Various Chambers of Commerce. Outstanding Results Oriented Corporate Leadership Training Coach. Corporate and Group Sales Training Coach. "How To Sell Like Hell and Still Get To Heaven" Program. See his Testimonials. Get RESULTS from Dr Daniel J Cruoglio programs today. Dr. Daniel J Cruoglio is Seminars and Workshops"R"US Outstanding Corporate Leadership Business Training Coach. Sales and Marketing Training Coach. Business Building Coach. Life Adjustments Coach. Keynote Speaker. Certified Professional Coach. Human Behavior Specialist. Published Author. Member of Various Chambers of Commerce. Outstanding Results Oriented Corporate Leadership Training Coach. Corporate and Group Sales Training Coach. "How To Sell Like Hell and Still Get To Heaven" Program. Dr Daniel J Cruoglio is a graduate of St. Peter's College and New York Chiropractic College. He completed post graduate work in Neurophysiological, Bio-mechanical and Clinical Advances in Chiropractic and holds a graduate studies certificate from the Parker Chiropractic Research Foundation. 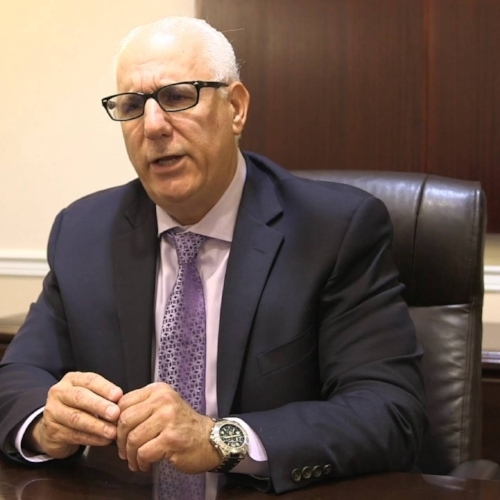 Dr Daniel J Cruoglio has been in private practice for over 30 years where he was the owner of a multidisciplinary clinic in New Jersey. After the loss of his practice in a fire in 2008 and the diagnosis of his wife's brain tumor, he decided to go into life and business coaching. Dr Daniel J Cruoglio is a certified professional coach and human behavior specialist. He graduated from iPEC ( Institute for Professional Excellence in Coaching) and the Experts Speakers Academy. He has received numerous awards, including the Professional Excellence and Commitment award from Breakthrough Coaching, a national practice development company. Dr Daniel J Cruoglio has also been awarded a Service Award from the Council of NJ Chiropractors to name a few. Dr Daniel J Cruoglio is a published author. He was a contributor in the book, "Breakthrough Coaching" and he authored the "Monday Morning Huddle". He has written articles that have been published in National Chiropractic Journals such as " Body by Design" and "The Power of Influence"
Dr Daniel J Cruoglio Life Adjustment and Business Marketing Coach will Educate, Empower, Inspire and Train your Industry Executives ( Sales, Marketing or Management Teams) at your next Event, Group Meetings or Seminars. Book Dr. Daniel J Cruoglio as keynote speaker for any speaking engagements at your next Conference, Meeting or Seminars, Take action, contact us to check his availability. Do you feel stuck, unmotivated, suffering from fear or anxiety blocking your success? Dr. Daniel J Cruoglio’s Life Adjustments and Business Marketing Coaching Seminars or Workshops are Educational, Empowering and will assist you with getting rid of any roadblocks keeping you from reaching your full potential and enjoying success. *Look for what you want to achieve in Life and Business - Communication Skills, Career Counseling, Sales Performance, Leadership Skills and more. *One that can help you find the Inspiration and Confidence you need to reach the next level in your Career. *One that gives Life Lessons on Empowerment, Leadership, Achievements, Marketing and Business Building, Corporate Coaching, Self-Confidence, Gratitude, Positive Attitude, Personal Growth, Successful Results,Career Development and the Fulfillment toward Achieving your Goals and Dream. "Maintaining balance in life and business is automatically provided when you love who you are with and you love what you do." by Dr Daniel J Cruoglio. Dr Daniel J Cruoglio is a member of various Chambers of Commerce and has been the past President of "Toastmasters " and the Education Coordinator for "BNI ( Business Network International )" Dr Cruoglio's knowledge and his life experience has given him a true perspective that can help people overcome any of life's events and challenges. He adheres a Jim Rohn - "Success is not to be perused, it is to be attracted by the person we become." Dr Daniel J Cruoglio will always design a program specifically for each client that needs individual coaching and not just some cookie cutter, one-size-fits-all approach. Get the results you want to achieve in record time today! Contact us for more information. Experience with Dr. Daniel J Cruoglio.